From a 2004 navara d22 yd25. located behind centre console. 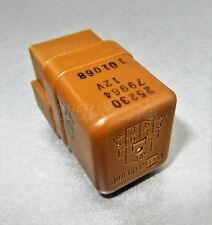 genuine nissan relays. Genuine4-Pin Blue Relay / Multi-Use Relay. Good Working Order. Condition:Good working condition. As All parts are off a UK Right hand Drive Car. PART FROM OR FOR. PART OF IRELAND OR CHANNEL ISLANDS AND EXCLUDES THE., PA60-78, PH17-26, PH30-44, ZE, BT, IM, TR21-25. UNDER COMPLETE INFORMATION. Hella Part Number:n/a. Made inGermany By Hella. Genuine4 PIN Black Relay / Multi-Use Relay. Nissan JUKE NMUK MADE [F15E]. Nissan MICRA [K11E]. Nissan NAVARA [D40M]. Nissan NOTE [E11E]. Nissan PATHFINDER [R51M]. REMOVED FROM 10 REG QASHQAI 1.5 DCI. NISSAN QASHQAI J10 MULTI USE RELAY. so you can make a claim. Nissan Part Number: 11067JD50C. Nissan Primastar; 2.0. REMOVED FROM 10 REG QASHQAI 1.5 DCI. 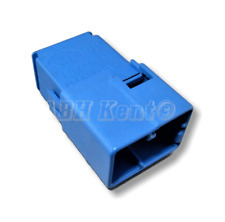 NISSAN QASHQAI J10 HORN RELAY. Supplied Goods. for item to be sent. so you can make a claim. 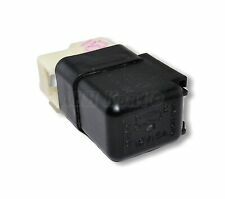 Nissan Micra K10, dim dip relay, model years 86-88,new genuine part. Renault Master 1.9dci 2.2dci 2.5dci 2000>--. Renault Kangoo 1.5dci 1.9dci 2001>--. Renault Modus 1.5dci 2004>--. Renault Scenic 1.5dci 2003>--. Renault Symbol 1.5dci 2002>--. Renault Twingo 1.5dci 2007>--. 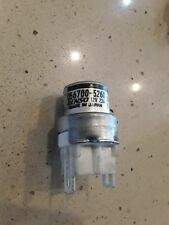 Genuine3-Pin White-Black Relay / Horn Relay. Good Working Order. Condition:Good working condition. Hella Part Number:4RA00781303. Made inGermany By Hella. 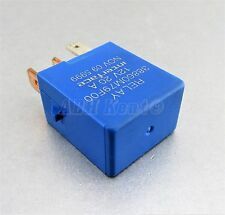 Genuine4 PIN BlueIgnition Relay. Nissan JUKE NMUK MADE [F15E]. Nissan MICRA [K11E]. Nissan NAVARA [D40M]. Nissan NOTE [E11E]. Nissan PATHFINDER [R51M]. Juke Acenta DCI (MK1 Facelift (F15)) (ABS). Glow Plug Relay. 1461cc 110/81 8v. Electric Front & Rear Windows, Electric Door/Wing Mirrors. This item is a used vehicle part and as such may have signs of general wear/handling. Genuine4 Pin Micro Black Relay / Multi Use Relay. GenuineRenault/ Nissan Part. Other Part Number:11209-0911. Genuine5 Pin C-Type Micro Black Relay / Multi Use Relay. Nissan Part Number:41027-2300. GenuineRenault/ Nissan Part. Nissan Terrano MK II [1992-2006] SUV. Nissan Terrano R20 [1998-2004] Box. Nissan Micra MK II [1992-2003] Hatchback. 4 PIN Blue Ignition Relay/ Multi Use. Nissan Serena C23M [1992-1999] MPV. Nissan Serena C24 [1999-2005] MPV. Genuine4 Pin Black Relay /Glow Plugs Relay. Condition:Used and Good Working Order. GenuineNissan Part. Fits both LHD & RHD cars. Good Working Order. Made ByJIDECO. Juke Acenta DCI (MK1 Facelift (F15)) (ABS). 1461cc 110/81 8v. Set of 8 Relays. Exterior Colour Code. The table below contains further information. Interior Trim Code. This item is a used vehicle part and as such may have signs of general wear/handling. Genuine4 Pin Mini Black (No. 4) Relay / Multi Use Relay. Nissan Part Number:60723M-2315. GenuineRenault/ Nissan Part. Good Working Order. Made ByNAiS in Japan. Part Number:Niles IF332. 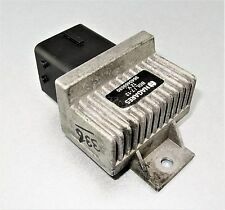 Genuine3-Pin Black Flasher Relay. Nissan Micra MK II (1992-2003) Hatchback. Nissan Serena C23 (1991-2001) MPV. Nissan Serena C23M (1992-1999) MPV. Nissan Terrano R20 (1992-2007) SUV and Box. Genuine6-PIN Brown Air Conditioner / Turn Signal/ Cooling Fan Relay (Multi-Use Relay). Nissan 100NX [B13]. Nissan 200SX [S13]. Nissan 200SX [S14]. Nissan 300ZX [Z31]. Nissan 300ZX [Z32]. Nissan 350Z [Z33]. Donor Vehicle: NISSAN TERRANO 3.0 ZD30 MANUAL 2003. GOOD CONDITION, WORKS AS IT SHOULD. ANY LOCATION OUTSIDE THE UK. CHECK ALL PHOTOS! Arran - KA27 KA25. Oban - PH 33, PA20-49, PA60-80, KA28. Inverness - ALL. Genuine4 Pin Mini Black (Type X) Relay / Multi Use Relay. Nissan Part Number:80321-2120. GenuineRenault/ Nissan Part. Good Working Order. 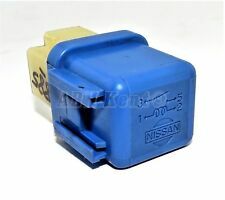 Genuine Nissan (1990-2010) 4-Pin Blue Relay-1M 25230-9F900 Hella 4RA940010-65. Hella Part Number:4RA940010-65. Made inSpain By Hella. 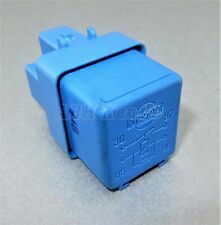 Genuine Nissan4 PIN Blue Multi Use Relay /Relay-1M. Nissan Micra MK II [1992-2003] Hatchback. Genuine4 Pin Mini Black (No. 4) Relay / Multi Use Relay. 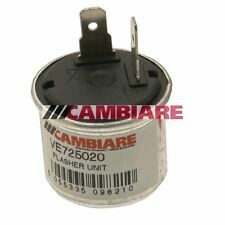 Nissan Part Number:60723M-2315. GenuineRenault/ Nissan Part. As title with part numbers, in good working order off a 1990 Homy. INTERIOR COLOUR:Unknown. ENGINE NUMBER:142205. ENGINE SIZE:2953. Foglamp cut off relay. Genuine Nissan Part. Subject of sale: Misc. INTERIOR COLOUR:Unknown. ENGINE NUMBER:23578D. ENGINE SIZE:1461. This Sale Is For A 4-Pin Multi-Use Blue Relay. NISSAN X-TRAIL SVE 2.5 petrol. REMOVED FROM 2005. WE WILL DO OUR BEST TO RESOLVE THE ISSUE. GOOD WORKING ORDER. Price is for x2 relays. 25230-7996A X2.